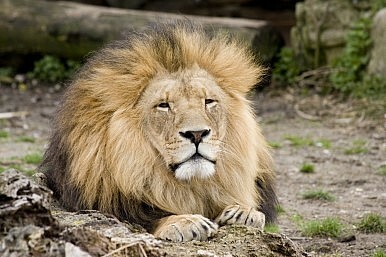 An African lion was found hanging, the latest in a string of disturbing animal deaths. Though it remains a popular regional tourism destination, Indonesia’s Surabaya City Zoo had been dubbed the “Zoo of Death” by international media. The zoo, one of the largest in Southeast Asia and home to as many as 4,000 animals, has a tainted history of inhumane treatment, filthy conditions, and severe overcrowding. The conditions are so bad at Surabaya City Zoo that Tony Sumampauw, the chairman of Indonesia’s zoo association, reported a mortality rate of 15 animals per month in 2012. The infamous zoo claimed another victim earlier this week – an 18-month-old African lion, found hung to death in his own cage. “He was very young and got his head stuck in cables that keepers use to open and close the cage,” said Agus Supangkat, a zoo spokesperson, adding that the death was an unfortunate accident and not caused by negligence. Attributing deaths to weather appears to be a common excuse for Surabaya City Zoo officials. Last October, an endangered orangutan succumbed to pneumonia – “an illness zoo officials were quick to blame on the city’s heat,” according to The Jakarta Globe. Another orangutan died in 2012 due to an intestinal tumor at the young age of 12 – in captivity, orangutans can live for as many as 60 years. That same year, the zoo’s last remaining giraffe perished. An autopsy revealed a “beach-ball sized wad of plastic food wrappers” inside its stomach that weighed a shocking 18 kilograms. Sumampauw was made interim director of Surabaya City Zoo in 2010. He was appointed by Indonesia’s Ministry of Forestry after a string of highly publicized animal deaths and allegations that zoo management was selling certain specimens into the exotic pet trade. He said that only a “total renovation” could save the zoo. A Change.org petition calling for the closure of Surabaya City Zoo has garnered more than 160,000 signatures. Photo galleries of life inside the “Zoo of Death” can be viewed here and here.